Oneiric Ocelot was released on October 13. 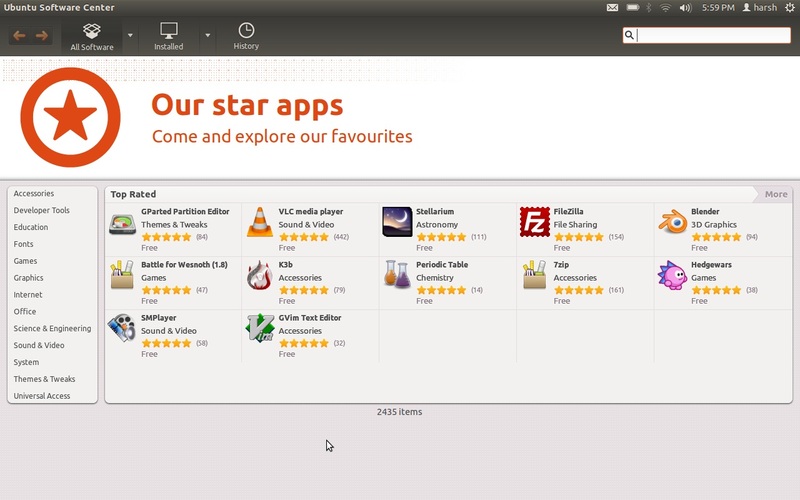 This version of Ubuntu comes with a major overhaul of the Ubuntu Software Centre (USC), Unity and Dash. This release also comes with some new default software, such as Thunderbird for email and Déjà Dup for backups. Read on for more. This release is cosmetically pleasing, and gives developers even more options to create efficient interfaces that are aesthetically delightful also. The re-tweaked Ubuntu installer is going to amaze you with its new picture-taking abilities. If you’re installing Ubuntu 11.10 on a notebook or netbook equipped with a camera, it asks you to take a picture of yourself; this picture will recognise you in account settings, the login screen and the lock screen. The rest of the installation is the same as in the previous release. While installing, keep your Internet connection on, or your installer will get stuck. Also don’t forget to tick “Install 3rd party codecs/restricted drivers”. The installer is very fast, and won’t let you wait for long. 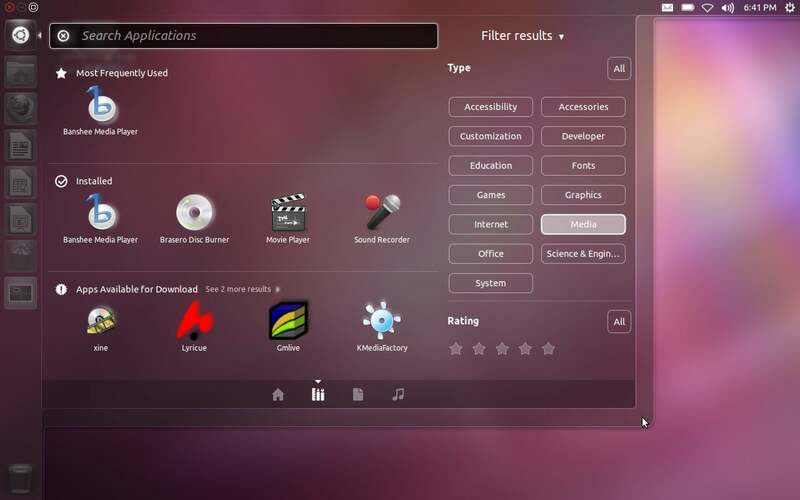 After receiving lots of complaints, Ubuntu developers refined and re-polished the Unity interface, and added lenses for App Launcher, File Search and Music Search. App lenses let you find stuff faster. File lenses do all the remembering, so you don’t have to. It gives you myriad filtering options. For example, Music lenses keep track of your music collections, what you have and what you don’t. The Unity sidebar now shades itself according to the desktop wallpaper. The interface is translucent, with bigger icons. Compiz also hides a lot of oomph under the hood. A new addition to this release is a modified Alt-Tab switcher with preview features, in which you can use the down arrow key to see a preview. This really cool feature adds a plus to Ubuntu’s “coolness rating”. 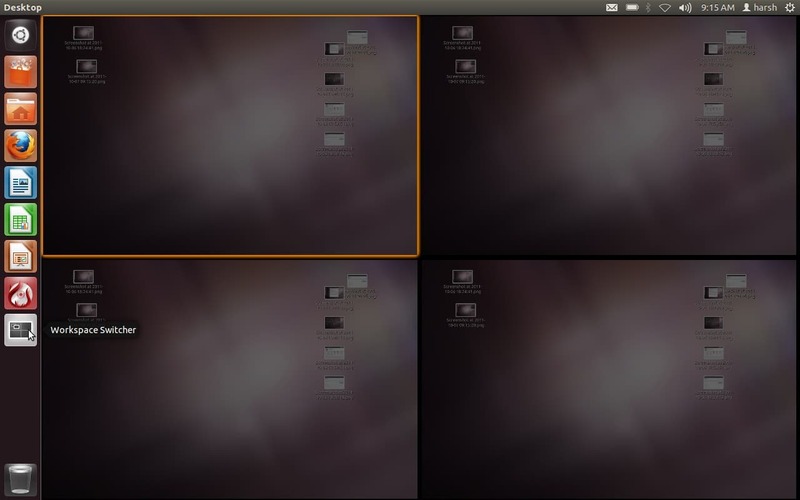 The workspace switcher also got touched up; it displays an orange border around the active workspace. 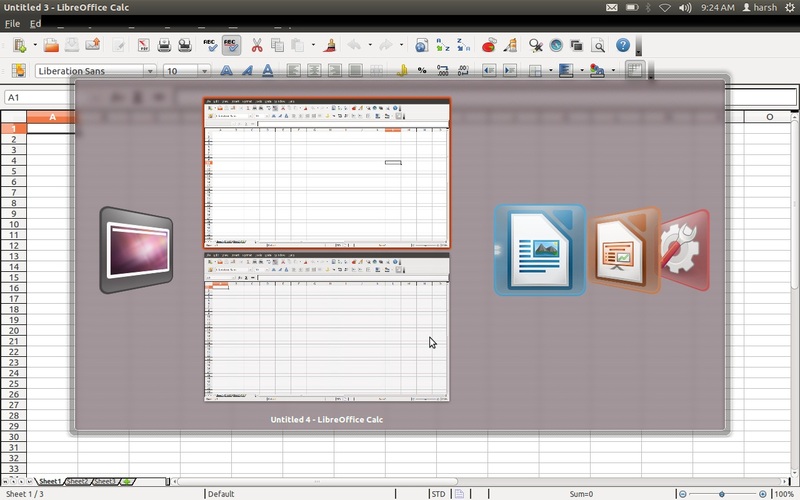 You can also move applications across different workspaces. 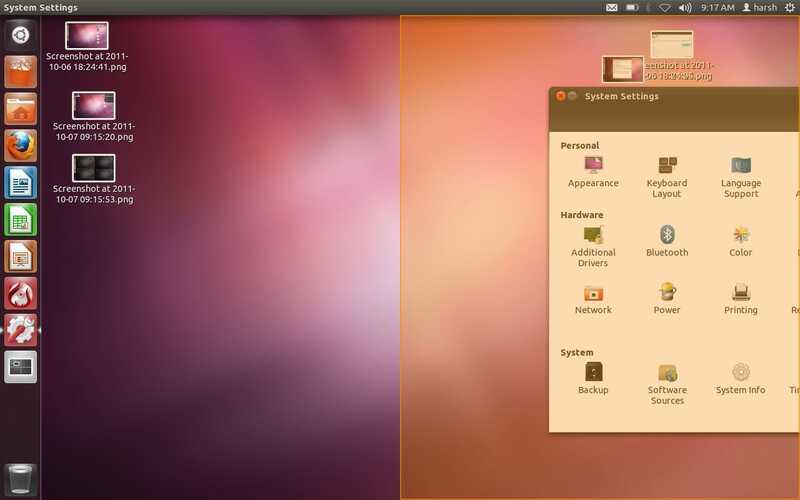 The Ubuntu Software Centre got a complete makeover — and with this release, Ubuntu dropped Synaptic completely. There are thousands of apps to choose from. The USC also adds new “top-rated” views to the main category and all sub-category pages, along with significant speed improvements for standalone .deb installer files. It allows you to edit and delete your own software reviews. Another new addition worth mentioning is “One Conf”; enable it from the File menu –> Sync between Computers, and it keeps your installed apps in sync between computers! This feature comes handy when you have more than one Ubuntu device. It also gives options for adding applications to the launcher right after install finishes. With this release, USC is upgraded to 5.0. With every incremental Ubuntu release, new software defaults come as a surprise. Thunderbird 7 is the new emailing client, because it has got better plugin support, and includes better menu and launcher integration. 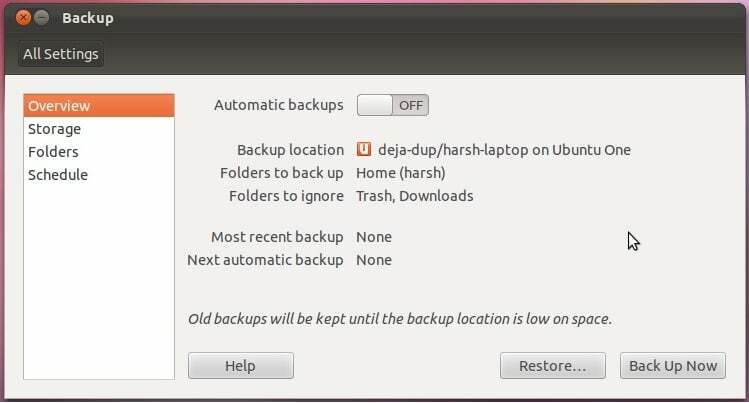 The Déjà Dup application is included as a default backup tool. 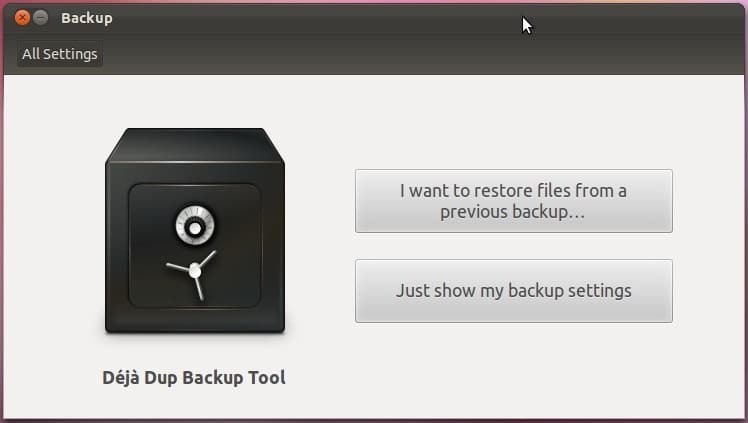 It makes it easy to upload backups to Ubuntu One, the cloud storage initiative by Ubuntu. Ubuntu One debuted with Ubuntu 9.04 Jaunty Jackalope, and as promised, Ubuntu developers delivered it completely integrated with Android, iOS and Windows devices. 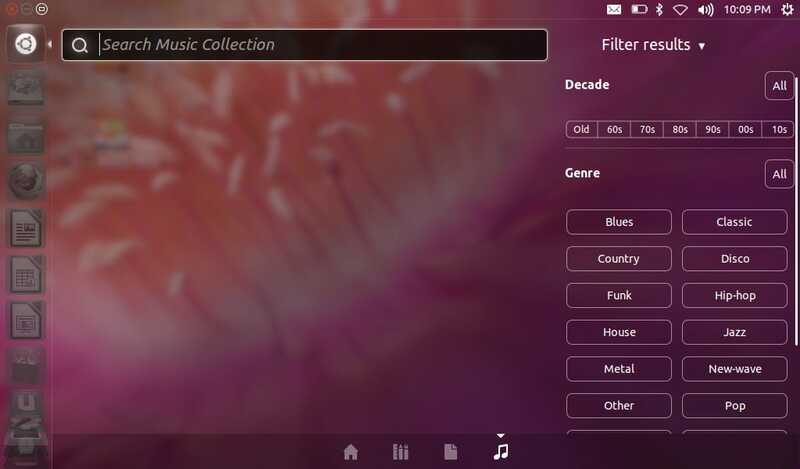 Ubuntu One provides you with documents, pictures and music syncing across computers and mobile devices, apart from the Ubuntu One music store to stream the tracks you have to your mobile devices (and buy the music you don’t have). The Ubuntu One Bookmark syncing feature has been discontinued with this release, due to performance-related issues. Ubuntu One comes with 5 GB of free space, and fulfils all your requirements. You can also opt for a 20 GB pack, by spending approximately US$ 30 per year. Gwibber, the much-talked-about social-networking client, is completely rewritten from scratch, to give you a hassle-free social experience online. It’s got improved performance, and a new interface using the most recent GNOME technologies. There are some details worth mentioning, such as a better universal bar, windows controls hidden by default on maximised apps (they reappear when you hover your mouse on the top left-hand side). The power button is reincarnated and is much more useful now; you can access the Update Manager and GNOME Control Centre, and can switch between accounts without much hassle. Indicators got a refresh, as they are ported to the GTK3-based indicator stack. 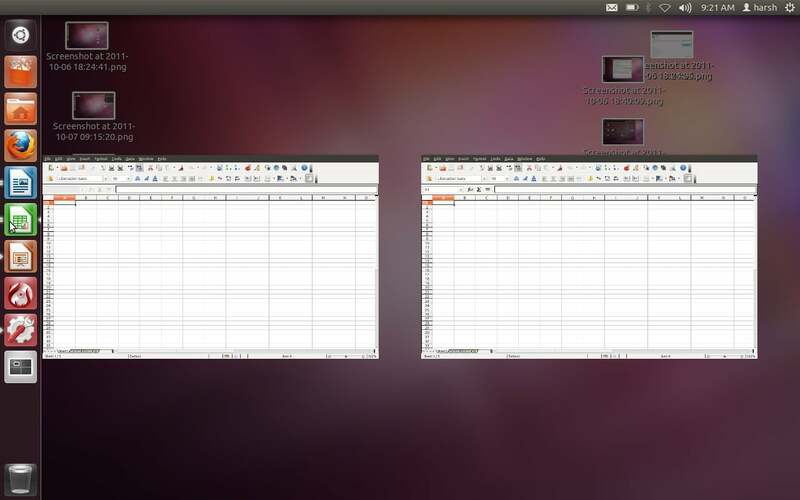 Launchers and panels also show improved performance, as they too are ported to GTK3. A windows-snapping feature is also included in the new avatar of Compiz, which mimics Windows ‘Aero snap’. There is multi-architecture support, which enables you to install 32-bit apps to 64-bit installs. This version also has better short-cut key integrations. The boot time from a live USB was a mere 29 seconds on a Core2Duo laptop, and one minute 6 seconds on my netbook. Battery backup performance still requires a lot of work, though. “Ubuntu” is an ancient African word that means “Humanity to others.” It also means, “I am what I am because of who we all are,” and Ubuntu OS actively works towards delivering the spirit of Ubuntu to the world of computers with its every release. Enjoy the new release of Ubuntu! After this release, Mark Shuttleworth also announced the Ubuntu 12.04 LTS release, codenamed “Precise Pangolin”. Install updates:You must update Ubuntu after installing it. As the Ubuntu team is rigorously working on bug fixes and application bugs, I strongly recommend you to update Ubuntu. Install third-party codecs/drivers: If you forgot to tick the “Install 3rd party codecs/restricted drivers” check box, you can still install third party codecs on your Ubuntu to support Nvidia graphics cards and playback of .wmv and .mp3 files. Install your app defaults: Don’t like Ubuntu’s new defaults? Install your own app defaults, using the Ubuntu Software Centre: Empathy for email, Chromium for browsing, and VLC for watching movies. Install GNOME Sushi: The “quick-look function” eases your work while you’re searching for some specific file, such as a PDF file, pictures, etc, since with a hit of the space-bar, you can preview the file instantly. Search for GNOME Sushi in USC to install it. After installing it, you will get GNOME Classic, under sessions. Tweak LightDM:Want to change the default LightDM background? Search USC for “Simple LightDM Manager”, a nifty utility for tweaking the login screen background. Set up Ubuntu One: If you haven’t tried Ubuntu One, because your device was not supported, this time it has extended support for Android, iOS and Windows devices. 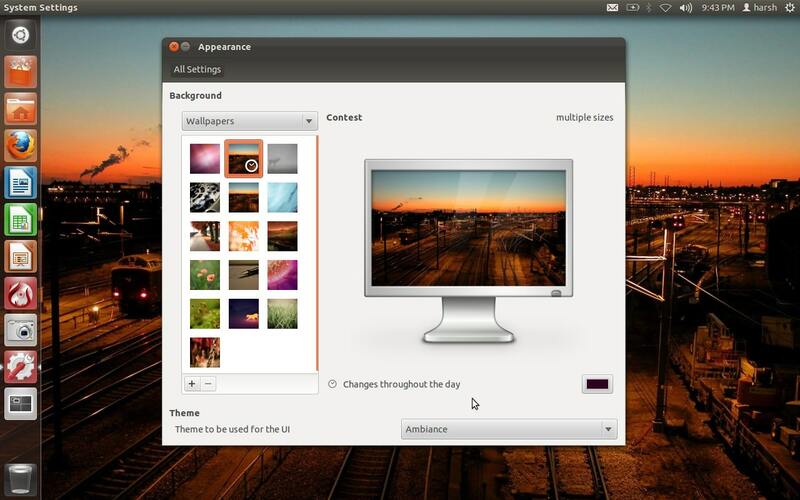 Go on, stream music and sync files and pictures using Ubuntu One cloud storage. Install Synaptic/PiTiVi:If you’re an avid fan of Synaptic or PiTiVi, you will be a little disappointed, because Ubuntu discontinued both these software from the default install; but they are still supported and available in the Ubuntu repository. Search for Synaptic in the launcher or USC, to install it. Be careful and don’t burn your fingers — the application is still in the beta stage. Install plug-ins for Thunderbird: Thunderbird is a wonderful email client, and is well known for its addons. If you like Thunderbird with addons, start installing your favourite addons. Share with friends: Don’t forget to share the spirit of Ubuntu with everyone! Please distribute the Ubuntu distribution CD/DVD to your friends, and support them in migrating towards Better Computing. The author is a Linux enthusiast with over five years of experience in open source, network and storage administration. Learning new technologies is his favourite hobby.